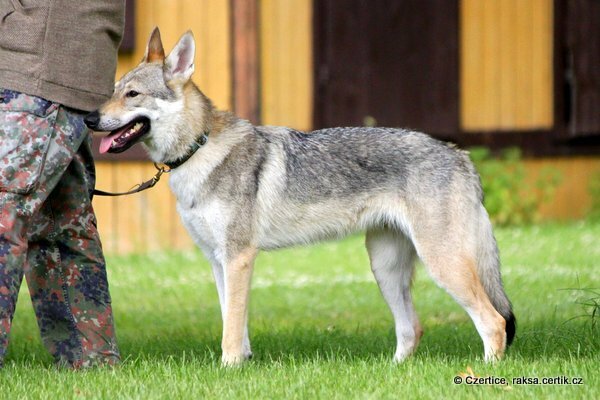 Health | Breeding high quality Czechoslovakian Wolfdogs for work and shows. Just now I received great new: the x-ray results of first dog from the BII-litter. 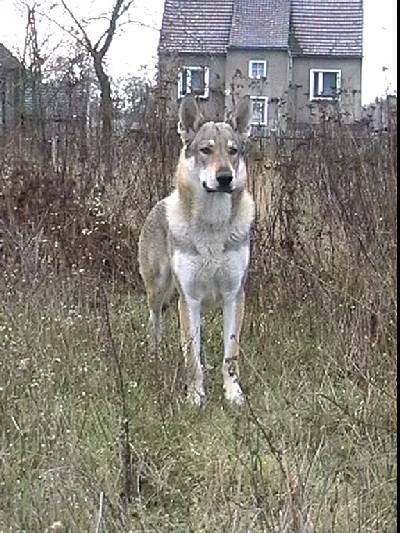 We knew it because Jolly is not only coming from a line which is known for good heath but also Jolly is typical Wolfdog - great built with proper angulation, many muscles and...great hips.... So the result is of course - free from penn hip dysplasy - HD-A. And now came the time for new generation in our house - for Merry Bell. We went to Wroclaw to dr.Siembieda - who is one of the few vets in Poland which are allowed to evaluate the hips according the FCI rules. Soon after it we finally knew - Merry Bell joined a group of happy owners of clear penn hips and she is absolutely free from dysplasy - HD-A. Exterier is important, but most important is heatlh - it came the time to make the X-rays and check the penn hips. 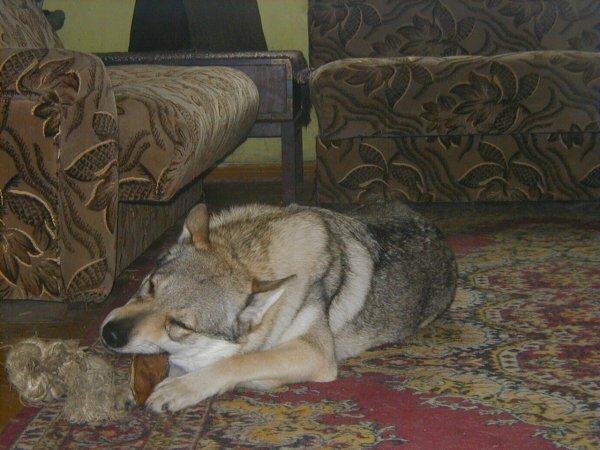 Amber Wolf z Peronówki was by dr Siembieda (2004.02.14) and ... he is absolutly free from dysplasy... The same Aset Voodoo (2004.09.03). Their owners just made the X-rays and the vet said, the hips are perfect and clear. Result: HD-A. 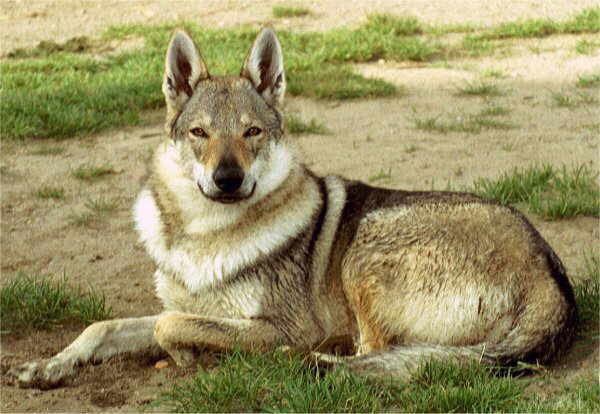 To tell the truth I was not affraid, because Aset is as great runner as Tasmanian Devil. After it we checked Balrog - also by him the vet found nothing - penn hips clear HD-A. And elbows the same - ED-0.